If you happen to know Reynolds student Rebecca Hubbard, and you see her around campus with a big smile on her face, it is there with good reason. Hubbard was honored with two national awards at the recent Phi Beta Lambda National Leadership Conference in Chicago where more than 1,600 of the best and brightest college students from across the country showcased their talents and vied for the chance to win more than $81,000 in cash. The competition included events in accounting, business, leadership and technology. Hubbard took home first place awards in both macro and micro economics. 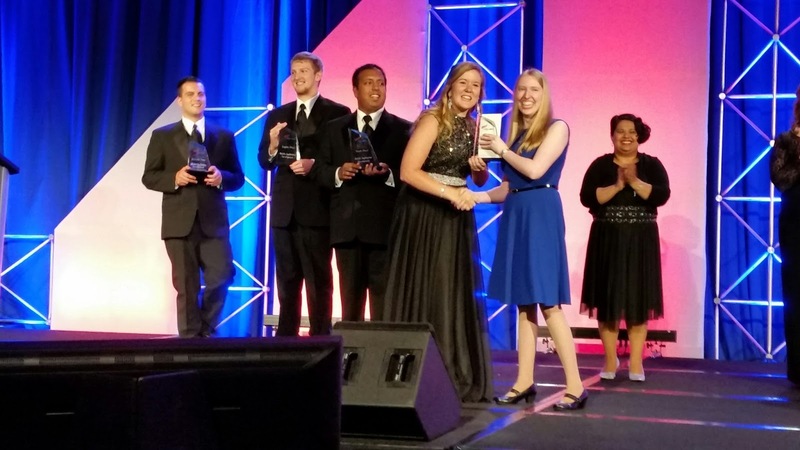 Future Business Leaders of America – Phi Beta Lambda (FBLA-PBL) is the largest business career student organization in the world. The postsecondary division reaches over 11,000 college students. FBLA-PBL's National Awards Program recognizes and rewards excellence in a broad range of business and career-related areas. Through state-based competition at the spring State Leadership Conferences, students compete in events testing their business knowledge and skills. 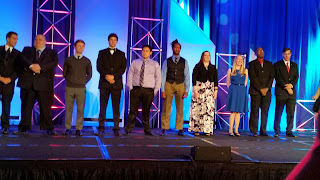 Top state winners then are eligible to compete for honors at the National Leadership Conference each summer. Reynolds was well represented at this year’s National Leadership Conference by three students who had won statewide competitions. Going to college is a new chapter in the lives of students, as well as their family members and friends. New students have lots of questions, and Student Orientation, Advising and Registration (SOAR) sessions are the best place to get those questions answered, and more. SOAR is a two-hour program for new students that focuses on the nuts and bolts of registering for fall classes. Sessions began on July 13 and will continue through August 7. Sessions are held at the Parham Road Campus and the Downtown Campus. Students can attend SOAR at either campus even if they will take most or all of their classes at one campus. 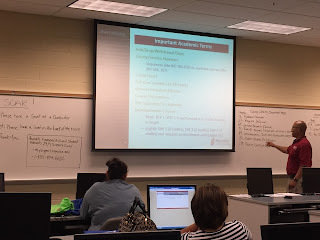 There is also one session at the Goochland Campus on Tuesday, July 21 for students enrolled in specific programs: Automotive Technology, Diesel Mechanics Technology, Floral Design, Horticulture Technology, Hybrid and Electric Vehicle Technology, Sustainable Agriculture, and Welding. During SOAR students learn how to navigate the Student Information System, register for fall classes, and leave with their new class schedule. The sessions are a great way for new students to make the transition into postsecondary education, explore the Reynolds campuses, and make new connections with peers, faculty and campus staff. Our hope is that students will leave orientation feeling a connection to the Reynolds community and energized to begin classes on August 24. For more information on SOAR or to register to attend an upcoming session, click here. 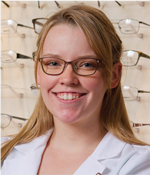 Reynolds Opticianry graduate Jessica Fox has been selected by Vision Monday as a member of their “Best in Class 2015”. Vision Monday is a leading source of news and news analysis for the ophthalmic industry. 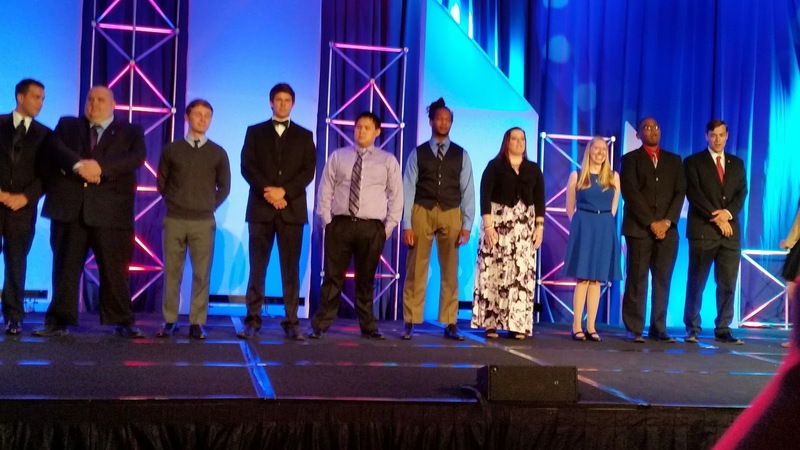 The eight honorees were selected from technician and optical dispensing programs from across the country and were selected because of their talent, skill and dedication to their craft. Fox was nominated for this honor by Reynolds Opticianry Program Head Kristi Green. Fox began her optical education in the service at the Tri Service Opticians School, Naval Ophthalmic Support and Training Activity in Yorktown, Va.
One of the most gratifying moments in the field for Fox was seeing how happy patients were during a humanitarian deployment to Polynesia and Micronesia when they finally were given clear vision. Fox plans on taking the American Board of Opticianry and National Contact Lens Exams to obtain certifications, and she will be continuing her service as an optician in the Navy.